languages that makes leading-edge computation accessible to everyone. 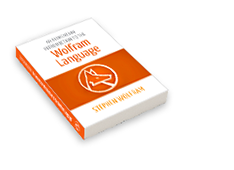 Unique in its approach of building in vast knowledge and automation, the Wolfram Language scales from a single line of easy-to-understand interactive code to million-line production systems. "Standard Lib is a registry for serverless microservices. It’s kind of like a mix between npm and heroku, so there is a central registry, but rather than just installing the services locally, they handle deployment for you. There are command line tools available via npm that make it easy to create (lib create) and deploy microservices (lib up)." Generate musical notes dynamically and play them in your browser using the HTML5 Audio Element. No static files required."